Cryptor2.0 ransomware is a file locking virus that was spotted at the end of January 2019. Malware stems from the infamous Ryuk ransomware, which is speculated to be connected to the North-Korean Lazarus hacking group. This variant uses Microsoft Enhanced RSA and AES encryption algorithms to lock up data and then adds .RYK file extension to pictures, videos, databases, documents, etc. Next, Cryptor2.0 ransomware contacts a remote server that is controlled by hackers and drops a ransom note ReadMe.txt into each of the folders. Victims are informed that their personal files have been encoded and only a unique key can unlock them. 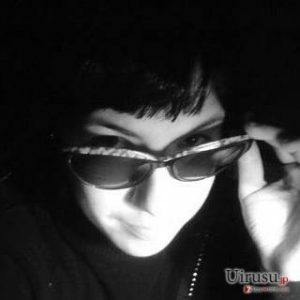 They are asked to contact crooks via DejackomeAjna@protonmail.com or ElmersVictoria@tutanota.com for Bitcoin wallet information that the ransom should be transferred to, as well as the ransom size. Ryuk ransomware created real chaos among users and organizations when it started to infiltrate systems all over the world back in summer 2018. It later devastated various newspapers in the US, preventing Tribune Publishing and Los Angeles Times delivering new issues on time. It asked between 15 to 20 BTC for the decryptor, and managed to earn a fortune during its reign. As evident, malware authors are not backing away and continuing their campaign with the release of Cryptor2.0 ransomware. Your network has been penetrated. All files on each host in the network have been encrypted with a strong algorithm. 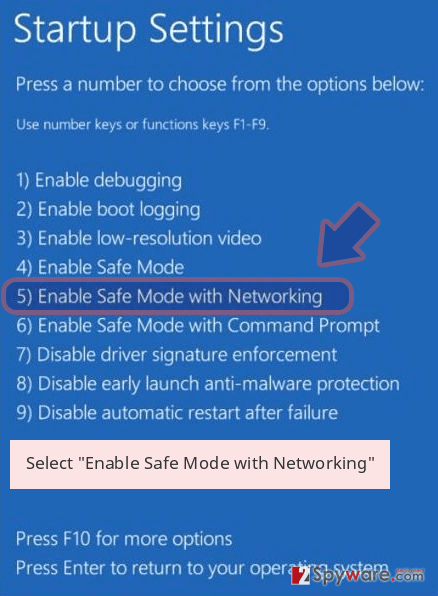 Shadow copies also removed, so F8 or any other methods may damage encrypted data but not recover. We exclusively have decryption software for your situation. Cryptor2.0 ransomware authors also offer to send two files for test decryption. This action is done to raise a false feeling of trust in victims, which would make them more likely to pay the ransom. However, even with test decryption being successful, there is no guarantee that users will receive full decryptor for .RYK encoded files. Security researchers also vote against paying the ransom, as such action would simple encourage cybercriminals to improve the code and produce more sophisticated viruses. Thus, victims should remove Cryptor2.0 ransomware with the help of reputable security software like Reimage – it can detect all the malicious elements of malware and eliminate them. Ransomware is a dangerous cyber infection, as it leaves files locked even after its removal. Therefore, it is vital to use maximum protection measures when it comes to computer security. Ransomware authors usually employ a variety of distribution techniques, most prominent of them being the spam emails. Phishing emails are often sent to thousands of victims and include attachments or malicious links. As soon as users click on those – malware is executed on the system and files encrypted. 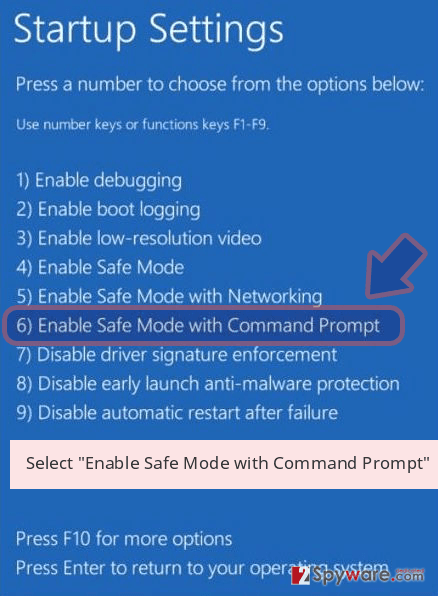 Another technique which recently grew in popularity due to “on the spot response” functionality is the brute-forcing. 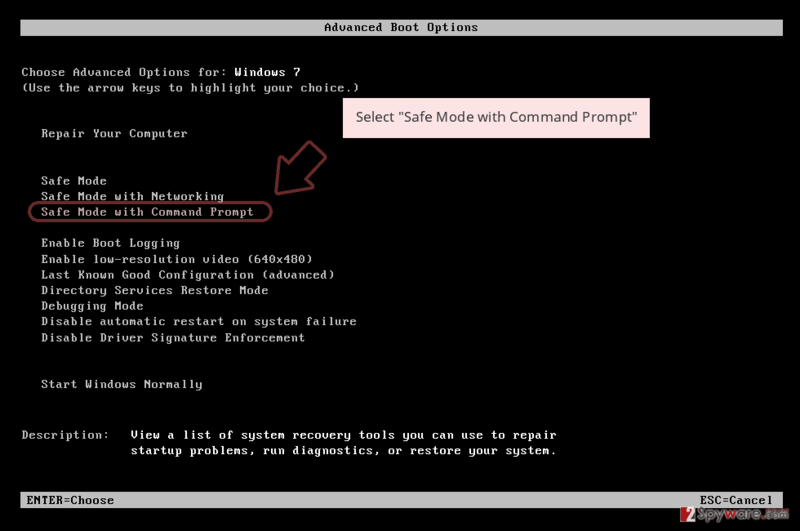 This allows hackers to scan the internet for vulnerable RDP connections and use a preset list of most commonly used passwords. Consequently, bad actors can manually install ransomware into the computer. This is extremely common in targeted attacks against various businesses and organizations. To remove Cryptor2.0 virus, you should choose appropriate anti-malware software. There are plenty available on the market, so choose the one that suits you best, although we recommend using Reimage. 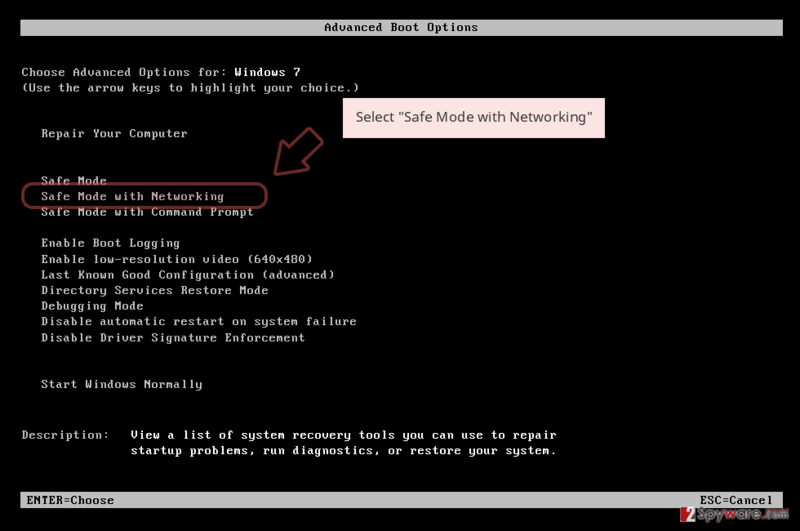 In case Cryptor2.0 ransomware prevents security software from working normally, enter Safe Mode with Networking as explained below. Unfortunately, but the malware is not currently decryptable. Therefore, regaining access to files without paying crooks might be quite tricky. Nevertheless, users can wait till cybersecurity researchers create an official decryptor or can try third-party recovery software as an immediate remedy. Remember, you should only try to recover your files after Cryptor2.0 ransomware removal, as your data would be encrypted again. Log in to your infected account and start the browser. Download Reimage or other legitimate anti-spyware program. Update it before a full system scan and remove malicious files that belong to your ransomware and complete Cryptor2.0 removal. 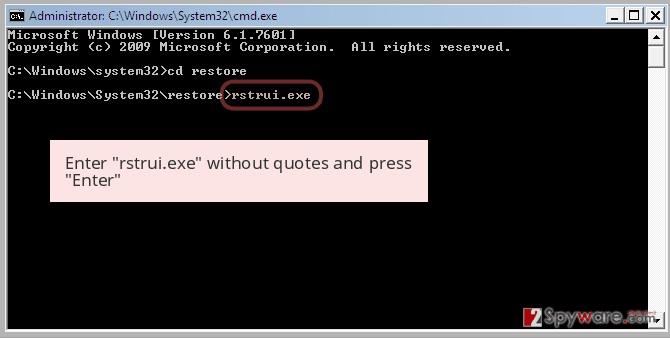 When a new window shows up, click Next and select your restore point that is prior the infiltration of Cryptor2.0. After doing that, click Next. 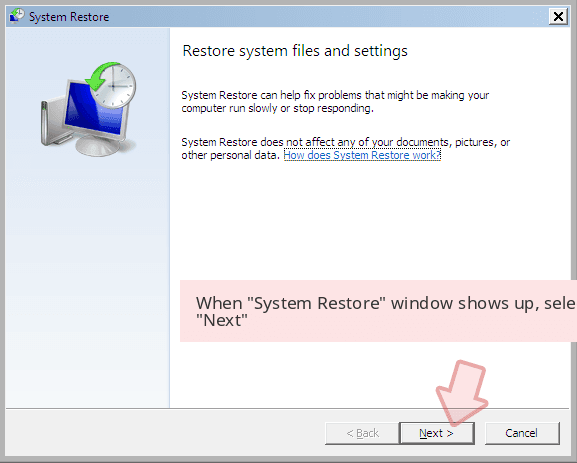 Once you restore your system to a previous date, download and scan your computer with Reimage and make sure that Cryptor2.0 removal is performed successfully. Guide which is presented above is supposed to help you remove Cryptor2.0 from your computer. To recover your encrypted files, we recommend using a detailed guide prepared by 2-spyware.com security experts. This tool is professional software that can recover corrupted or accidentally deleted files. Also, it might help you recover .RYK files. 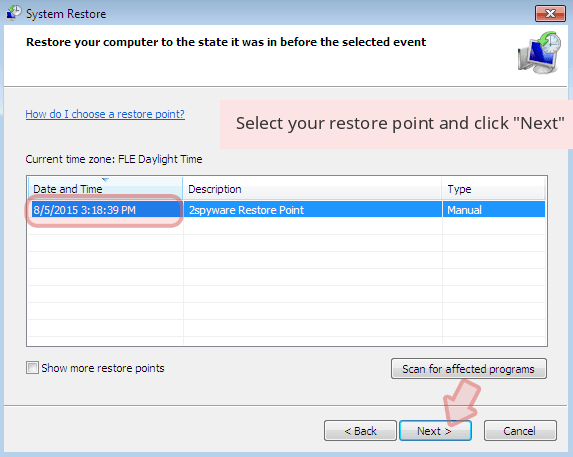 This option is only available for those who set up the System Restore point before the virus attacked. ShadowExplorer is a program that can recover all your data if Cryptor2.0 virus failed to delete Shadow Volume Copies. ^ 6955942eca9bfdda10839b597ced4ec304eaed12747bd5a406d2ee93c2e3f356. Virus Total. URL and file analyzer. ^ Jake Doevan. Ryuk ransomware attack delays the distribution of major US newspapers. 2-spyware. Cybersecurity news and articles. ^ Benjamin Hosack. Stronger and more frequent Brute Force Attacks are now the norm. Foregenix. Global Cybersecurity Experts. This entry was posted on 2019-01-23 at 08:18 and is filed under Ransomware, Viruses. You can quickly scan the QR code with your mobile device and have Cryptor2.0 ransomware manual removal instructions right in your pocket. How did you remove Cryptor2.0 virus?